“At that point, vanity, unbelief and hypocrisy were polluting the land. The cure would have been to repent and remember the Book of Mormon as a covenant, and honor that covenant. “The objective was to help the saints understand their transgressions, abandon their covetousness and no longer pollute the land. “Should those involved be able to detect their own covetousness? Could they see they were transgressing the ordinances? Did they know their minds were darkened because of the failure to remember the Book of Mormon? Is there a difference between “saying” and “doing” the things God commands? Is that difference easy to see? Deprived of light; obscured; rendered dim; made black; made ignorant. The soft ideas of the cheerful note, lightly received, were easily forgot. 3. Without reason, or for reasons of little weight. 4. Gaily; airily; with levity; without heed or care. 1. Emptiness; want of substance to satisfy desire; uncertainty; inanity. Vanity of vanities, said the preacher; all is vanity Ecclesiastes 1:2. 2. Fruitless desire or endeavor. 3. Trifling labor that produces no good. Here I may well show the vanity of what is reported in the story of Walsingham. 5. Empty pleasure; vain pursuit; idle show; unsubstantial enjoyment. Sin with vanity had fill’d the works of men. Think not when woman’s transient breath is fled, that all her vanities at once are dead; succeeding vanities she still regards. 7. Inflation of mind upon slight grounds; empty pride, inspired by an overweening conceit of one’s personal attainments or decorations. Fops cannot be cured of their vanity. Vanity is the food of fools. 1. The act of condemning; the judicial act of declaring one guilty, and dooming him to punishment. For the judgment was by one to condemnation Romans 5:16. 2. The state of being condemned. Dost thou not fear God, seeing thou art in the same condemnation Luke 23:40. 3. The cause or reason of a sentence of condemnation John 3:19. 1. To pronounce to be utterly wrong; to utter a sentence of disapprobation against; to censure; to blame. But the word often expresses more than censure or blame, and seems to include the idea of utter rejection; as, to condemn heretical opinions; to condemn ones conduct. We condemn mistakes with asperity, where we pass over sins with gentleness. Beloved, if our heart condemn us not, we have confidence towards God. 1 John 3:21. The men of Nineveh shall rise in judgment with this generation, and shall condemn it. Matthew 12:41. 4. To pronounce to be guilty; to sentence to punishment; to utter sentence against judicially; to doom; opposed to acquit or absolve; with to before the penalty. The son of man shall be betrayed to the chief priests, and to the scribes, and they shall condemn him to death. Matthew 20:18. He that believeth on him is not condemned. John 3:18. And the king of Egypt–condemned the land in a hundred talents of silver. 2 Chronicles 36:3. 6. To judge or pronounce to be unfit for use or service; as, the ship was condemned as not sea-worthy. To judge or pronounce to be forfeited; as, the ship and her cargo were condemned. 1 Beloved Enos, 8 – 9. Lest peradventure the people repent when they see war, and they return. Exodus 13:17. 4. Applied to the Supreme Being, to change the course of providential dealings. Genesis 6:7. Psalms 106:45. Except ye repent ye shall all likewise perish. Luke 13:3. Acts 3:19. 2 Preserving the Restoration, 98. 4 “The Temple,” Portland Temple Symposium, Oct. 9, 2010, transcript of notes from talk. 1 Preserving the Restoration, 124n324. 2 “Fruit,” March 10, 2018, blog post, emphasis his. 1. A punishment; vindictive affliction. 1. To punish with severity; to chastise; to afflict for sins or faults, and with the purpose of correction. Whom the Lord loveth he chasteneth, and scourgeth every son whom he receiveth. Hebrews 12:1. 2. To afflict greatly; to harass, torment or injure. POLLU’TED, participle passive Defiled; rendered unclean; tainted with guilt; impaired; profaned. Hallowed; consecrated or set apart to a sacred use, or to the service or worship of God; a sense frequent in Scripture; as the holy sabbath; holy oil; holy vessels; a holy nation; the holy temple; a holy priesthood. 1 “1 Nephi 14:5,” July 6, 2010, blog post comment. 2 Passing the Heavenly Gift, 52. 1. Simulation; a feigning to be what one is not; or dissimulation, a concealment of one’s real character or motives. More generally, hypocrisy is simulation, or the assuming of a false appearance of virtue or religion; a deceitful show of a good character, in morals or religion; a counterfeiting of religion. 2. Simulation; deceitful appearance; false pretense. 1. To desire or wish for, with eagerness; to desire earnestly to obtain or possess; in a good sense. COVET earnestly the best gifts. 1 Corinthians 12:31. 2. To desire inordinately; to desire that which it is unlawful to obtain or possess; in a bad sense. Thou shalt not covet thy neighbors house, wife or servant. Exodus 20:17. 1. A strong or inordinate desire of obtaining and possessing some supposed good; usually in a bad sense, and applied to an inordinate desire of wealth or avarice. Out of the heart proceedeth covetousness Mark 7:22. Mortify your members–and covetousness which is idolatry. Colossians 3:5. 1. To invent or imagine; to form an idea or conception of something not real. There are no such things done as thou sayest, but thou feignest them out of thine own heart. Nehemiah 6:8. 2. To make a show of; to pretend; to assume a false appearance; to counterfeit. I pray thee, feign thyself to be a mourner. 2 Samuel 14:2. 3. To represent falsely; to pretend; to form and relate a fictitious tale. The poet did feign that Orpheus drew trees, stones, and floods. Have I rejected those that me ador’d? 3. To cast off; to forsake. Jeremiah 7:29. Because thou has rejected knowledge, I will reject thee. Hosea 4. 1 Samuel 15:23. Irregular; disorderly; excessive; immoderate; not limited to rules prescribed, or to usual bounds; as an inordinate love of the world; inordinate desire of fame. To perform; to execute; to carry into effect; to exert labor or power for brining any thing to the state desired, or to completion; or to bring any thing to pass. We say, this man does his work well; he does more in one day than some men will do in two days. 2. To perform; to practice; to observe. 2. To succeed; to accomplish a purpose. We shall do without him. Will this plan do? Also, to fit; to be adapted; to answer the design; with for; as, this piece of timber will do for the corner post; this tenon will do for the mortise; the road is repaired and will do for the present. TRANSGRES’SION, noun The act of passing over or beyond any law or rule of moral duty; the violation of a law or known principle of rectitude; breach of command. He mourned because of the transgression of them that had been carried away. Ezra 10:6. Forgive thy people all their transgressions. 1 Kings 8:50. 2. To teach; to communicate the knowledge of something before unknown. 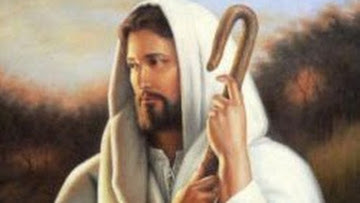 Take my yoke upon you, and learn of me; for I am meek and lowly – Matthew 11:29.